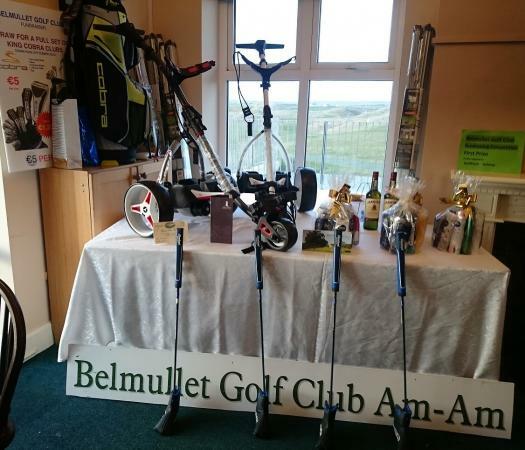 Belmullet Golf Club as with many Golf Clubs is about four things ,our members,our many kind sponsors,our staff and our visitors. 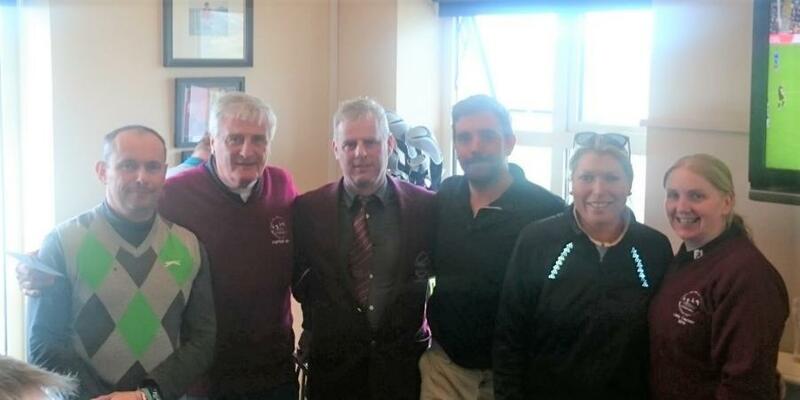 Belmullet Golf Club for many years has gained a deserved reputation for being a very friendly place to play and visit and the members and staff are to be congratulated on maintaining this reputation, continuing to greet all our visitors with a typical “West of Ireland” welcome. The Links itself is a very special piece of golfing terrain and members and visitors alike are encouraged to respect this and take every step to keep it in the best possible condition. 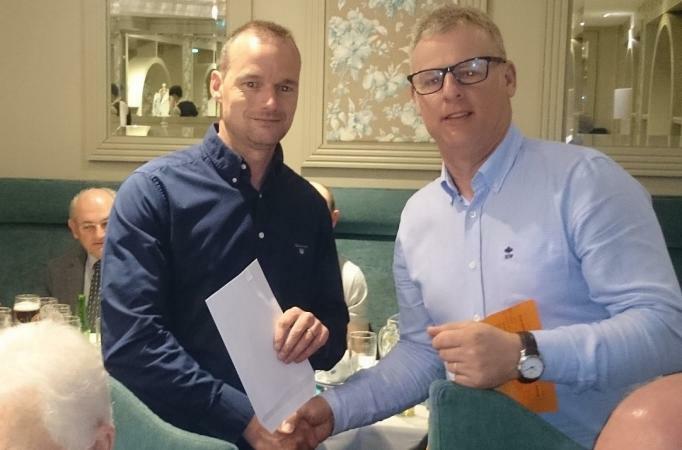 You will regularly see on the top of this Home Page, photographs of members collecting their prizes. This website is for our members and about our members but having said that I hope visitors to the site enjoy it and it's much and varied content. 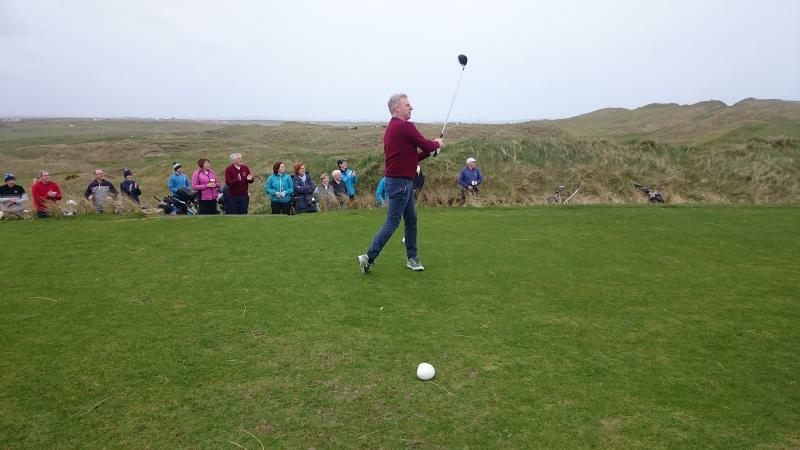 Carne Golf Links in North Mayo on the West Coast of Ireland lies in magnificent unspoiled sand dunes overlooking Blacksod Bay and the wild Atlantic Ocean near the town of Belmullet. Carne Golf Links is the last links course to be designed by the late Eddie Hackett and it is now believed by many who have played it to be his greatest challenge. The course was "created" with minimal environmental impact with the first nine opening in 1992. 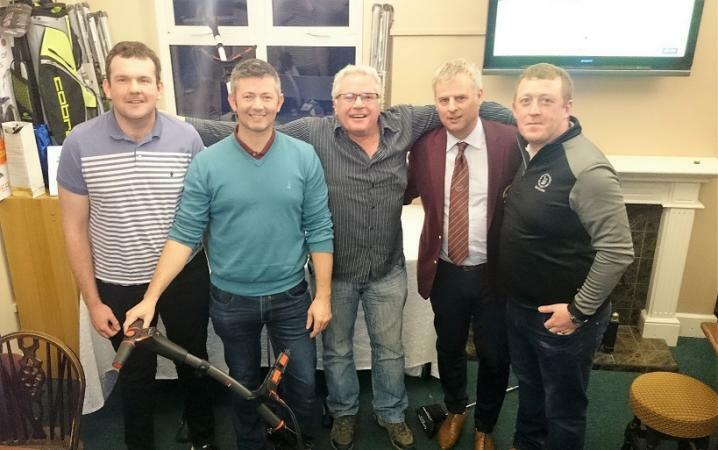 Play began on the second nine in 1993 and the Clubhouse was completed and opened in 1995 by the then Minister for Tourism Enda Kenny. 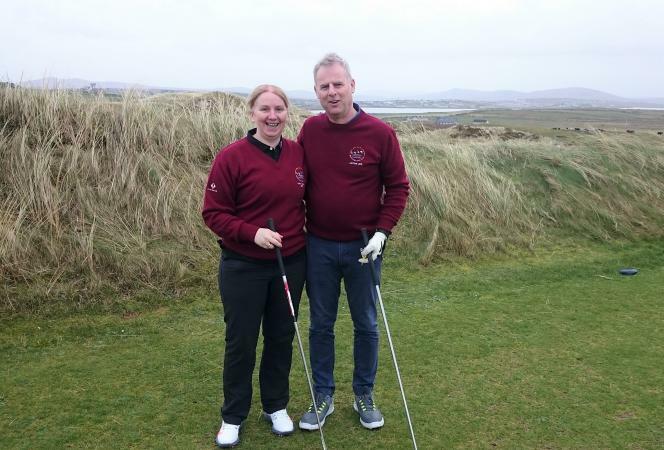 Carne Golf Links has gone on to become one of the premium links golf courses in Ireland and is a true gem in North Mayo. It has recently been voted 7th in the top 100 golf courses in the UK & Ireland. 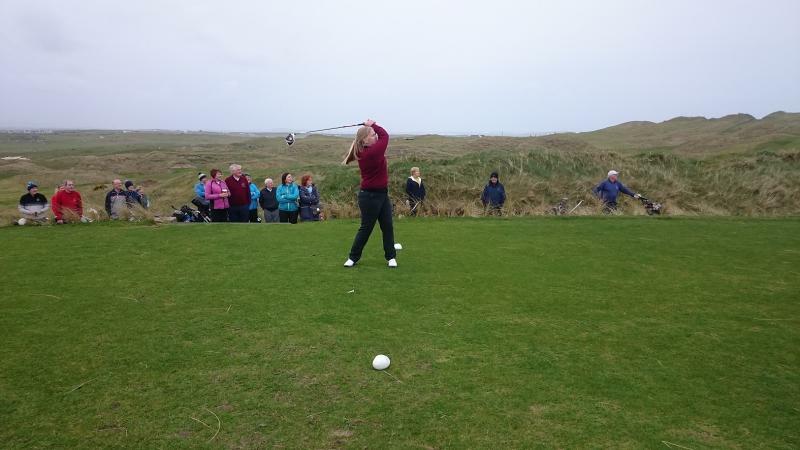 An additional 9 holes (The Kilmore 9) opened in 2013. Designed by Jim Engh Design and McIntosh Golf Design. 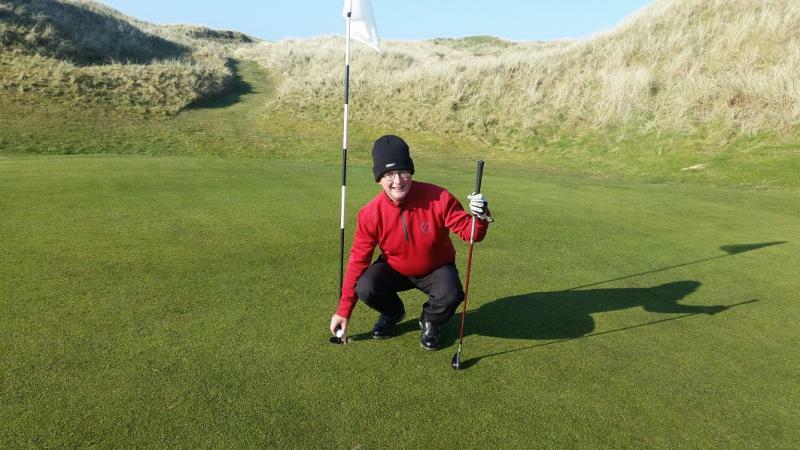 "The Wild Atlantic Dunes Course"
Visitors to Carne Golf Links will notice that holes 11, 12, 13 and 14 (on the Hackett course) are named Conn, Fiachra, Aodh and Finnuala. These are traditional Irish names. The four names are those of the children of an ancient Irish King named Lir. For The Legend of the Children of Lir see "History" on the "About Us" tab. 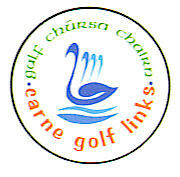 And then you will understand why the logos of both Belmullet Golf Club and Carne Golf Links have four swans emblazoned on them.